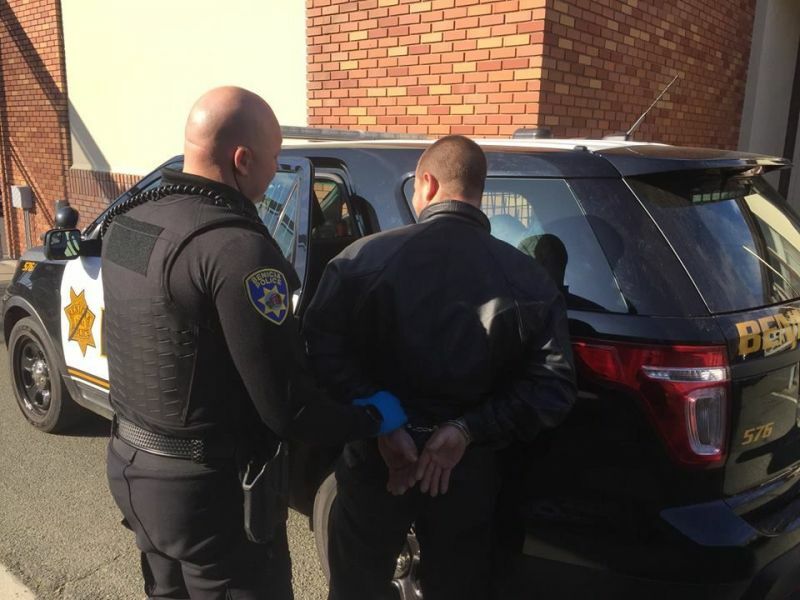 A suspect is taken into custody in Benicia. On Monday, January 15, three people were arrested at the CVS store on 2100 Columbus Parkway. Benicia police officers responded to an alarm activation the next day around 5 a.m. The alarm company employees claimed they witnessed two men and one woman loading stolen items into a vehicle.The woman on the scene drove away as the police arrived but was later stopped. The two men attempted to escape on foot and were also caught. When the police searched the female suspect’s vehicle, they found stolen merchandise inside as well as burglary tools. One suspect was found with a backpack full of tools and a glass pipe, while the other possessed methamphetamine, a synthetic drug used illegally as a stimulant. Vallejo residents Desarae Reiswig-Greer, 37, Daniel Street, 31, and Curtis Jensen, 31, were all booked into Solano County Jail for suspected burglary and conspiracies to commit a felony.